The REGESA group aims to contribute to the development and improvement of communities through activities in the region, bringing their knowledge and expertise in executing the orders of local authorities and of the Consell Comarcal del Barcelonès, the sole shareholder of the company. Composed by two companies, the REGESA group focuses its activity on the fields of urbanism, urban renovation, design and planning to help balance between housing, green spaces and social facilities. 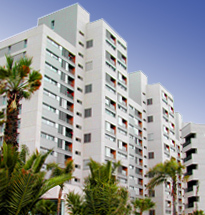 REGESA works mainly in the field of promoting affordable housing; and REGESA APARCAMENTS I SERVEIS, deals primarily with the promotion and management of parking, residential and short stay.